Cheng Hua's success comes from the talents, loyalty and dedication of over 300 employees we have, serving from Cheng Hua Malaysia, China Shanghai, Thailand, India Chennai and Indonesia Jakarta. We have prospered for over 40 years from their unyielding determination to achieve excellence in the products and services we provide. Cheng Hua has thrived working across geographical and cultural borders ; the vast number of installations all over the globe are evidence of customer satisfaction and their growing support, of our adaptability, passion at work and will to achieve. Plan, design and develop with customers' full systems layout, specifications, engineering solutions (using CAD); and (PLC programming, sensors and switches, etc. - Electrical). Responsible for collaborating with customers and sub-contractors. Project management responsibilities include planning, machine and systems installation, systems optimization, trouble shoot, commissioning and end-user training. Understand customers requirements, collaborate with customers to configure solutions and layout that meets customers objectives. Provide engineering that give customers the best solution. Develop cost, technical and commercial proposals for submission. Plan and develop of new / innovative products for selected market. Continuous improvements to existing product designs (Standardization, VA, VE). Cheng Hua is a truly great place for continuous learning and innovation. 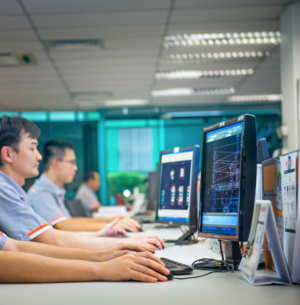 The opportunity to work on some of the toughest challenges is what evolved Cheng Hua into a technical strength and a steady partner for material handling and automation technology. A career at Cheng Hua is more than just a job – it is a long-term relationship, it is a challenge and it is a chance to develop with others all around the globe.